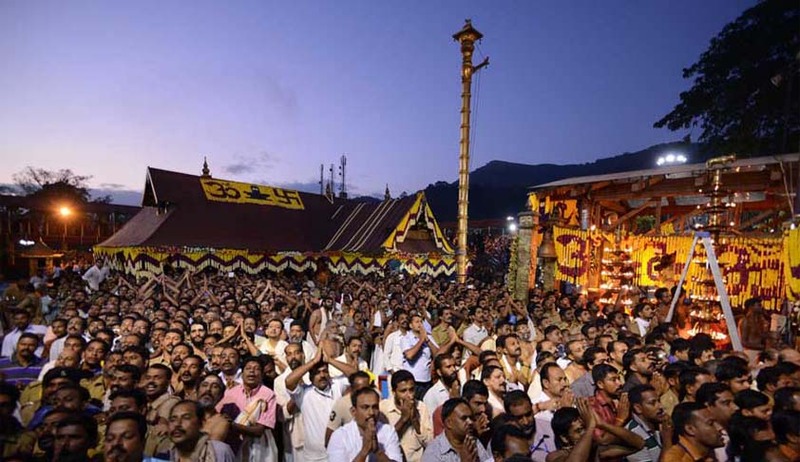 The Supreme Court was today told by the Kerala government that it favoured the entry of women of all age groups in the historic Sabarimala temple in the state. The counsel for the state government, which had earlier supported the ban on women's entry in the temple in its additional affidavit filed in July this year, told the apex court it will now go by its original response filed in 2007 favouring entry of women in the temple premises. The bench, which has now fixed the matter for hearing on February 13 next year, said the stand of the government is not the final one as it will take a decision after deliberating upon various aspects including the constitutional provisions with regard to gender equality. The new stand came at a time when on October 27 a group of women devotees of Lord Ayyappa under the banner of ‘People for Dharma’ moved Supreme Court seeking intervention saying they are not against the traditional customs and restrictions and are ready to wait till the age when they are allowed to enter the temple that is at the age of 50. “That the Intervenor organization named ‘People for Dharma’ with thousands of members and followers have started a campaign popularly known as ‘Ready to Wait’. The said campaign started by the Intervenor organization was to counter campaigns popularly known as ‘Right to Bleed’ and ‘Right to Pray’. That the intervenor organization is making this application seeking indulgence of this Hon’ble Court for permitting them to intervene in the above matter which involves questions that may seriously affect the sentiments and belief system practiced and preached by the Intervenor organization and by its followers”, it says. “By appointing themselves the champions of the rights of women devotees, what the feminist petitioners actually imply is that the devotees are incapable of fighting for themselves. That’s one kind of classism too. It is a modern version of the White Man’s Burden to civilise unwashed pagans,” said their application.